Civil war in neighbouring Syria has seen Jordan receive hundreds of thousands of Syrian refugees. A U.S. ally and one of only two Arab nations to make peace with Israel (the other being Egypt), Jordan is considered one of the safest countries in the region. However, the resurgence of Islamic militancy in Iraq presents security issues. Médecins Sans Frontières first began working in Jordan in 2006 in response to the medical needs of Iraqi refugees. Today, we work in clinics and hospitals across the north of the country to provide care for Syrian, Iraqi and Yemeni refugees. The huge growth in the number of refugees in Jordan has placed increased pressure on the country's health system. Jordan has registered over 650,000 Syrian refugees since 2011, according to the UNHCR, the UN refugee agency. Lacking proper documentation, and facing financial constraints and border closures, migrants’ access to healthcare in Jordan is extremely limited. 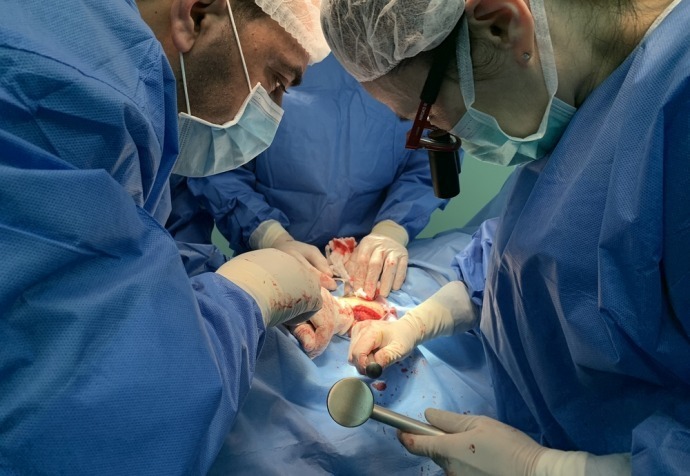 MSF operates three clinics in Irbid governorate dedicated to providing Syrians and vulnerable Jordanians requiring treatment for non-communicable diseases (NCDs). The clinic offers medical care, home visits and psycho-social support to patients, around a quarter of them Jordanians. The Amman reconstructive surgery hospital treats war-wounded patients and indirect victims of violence from war-torn neighbouring countries. Since 2006, the reconstructive surgery project offers a complete program of care to patients. The hospital provides orthopaedic, reconstructive and maxillofacial surgery, and patients also receive in mental health care and physiotherapy. Patients are provided with accommodation in the hospital, or nearby, and receive financial support to come to the hospital and return to their country. A member of their family can accompany them during the treatment and re-education. Médecins Sans Frontières relies on liaison officers to spot and refer Iraqi, Syrian or Yemenite cases. Numerous patients handled in the hospital are victims of an infection caused by antibiotic-resistance. MSF supports a microbiology laboratory in order to identify and effectively fight these infections. Because I'm A Woman: International Women's Day special feature from MSF on the health risks faced by displaced women. We are the main reproductive healthcare provider for Syrian refugees in Irbid governorate. MSF has also increased its focus on mental healthcare, offering support to Syrian children and their parents in a project based in Mafraq, as well as through outreach consultations and sessions held at the NCD clinics and primary healthcare centre in Irbid. The various teams provided individual and group counselling, psychosocial support and health education sessions.